Producing Videos has been called the 'bible' of video making. A bestseller over many years, it offers a comprehensive and user friendly guide to all aspects of video production - from the first chapter on using a camera (if it doesn't go in easily, don't force it) to the chapter on distribution (no matter what happens, always hold onto your master). All the elements of video production are covered: camera operation; scriptwriting; composition; budgeting; preproduction planning; lighting and sound recording; interview techniques; field production and studio shoots; digital editing; digital postproduction techniques; video streaming and other forms of online distribution. This edition has been fully revised and updated to cover developments in technology, promotion and distribution. It includes tips from over 120 experienced video teachers from around the world, and is illustrated with over 600 photographs and 200 diagrams. 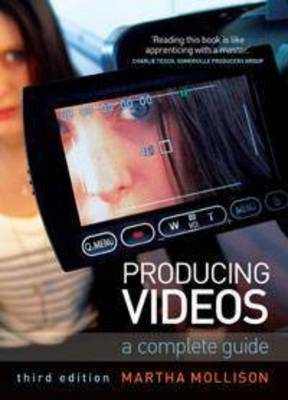 Producing Videos is the best handbook available for learning the basics of video making. It is an ideal guide for students, and for anyone who has a flip camera burning a hole in their pocket and aspirations to become the next hot new director.